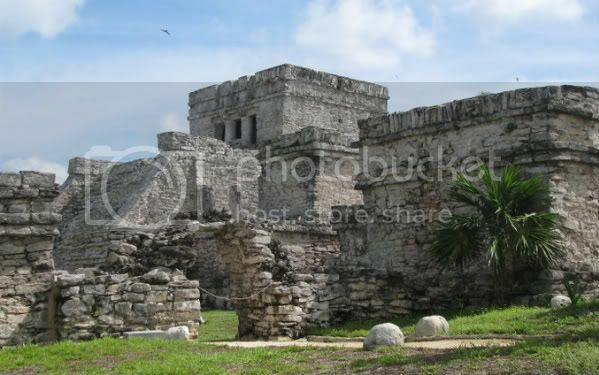 TULUM,Quintana Roo-- It's an overwhelming feeling to be in the middle of indigenous archaeological ruins and try to take in the meaning of centuries worth of history. The first time I went to Teotihuacan, the enormous Aztec ruins on the outskirts of Mexico City, and climbed on top of the Pyramid of the Sun, it was definitely an out-of-body experience. Though the archaeological ruins in Tulum are much, much smaller, it was really amazing to see the ruins of an entirely different civilization--the Mayans. 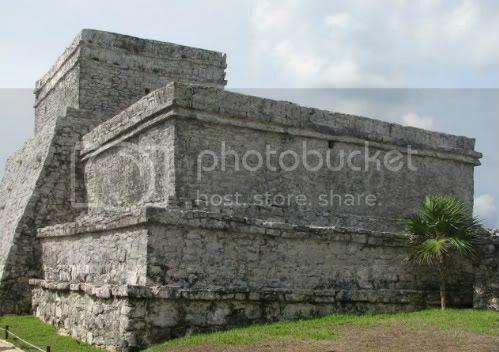 Unlike the ruins of Central Mexico, the structures were made with a lighter-colored material and were built next to the turquoise Caribbean Sea. 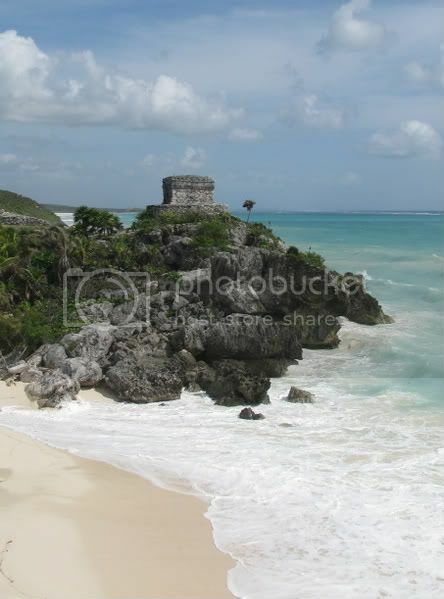 The word "tulum" is Mayan for "wall." And back in pre-Columbian times, this walled city was a major port and its fort helped protect it against invasion. Ah, I feel relaxed just looking at these. It is so damn gorgeous. 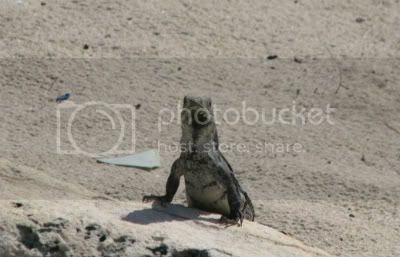 I love all the iguanas in the Yucatan. We had so many in our cabanas, they'd just chill out and leave us alone.